Let everyone in your team manage all your contacts, organizations, notes, documents, messages and forms in a great contact manager. Build your contact database from incoming emails, facebook, twitter , forms and the contact us page on your website. Apptimi will build your contact database by adding incoming contacts from your team or automatically from email messages, forms, or your Contact Us page on your website to your contact manager. Saves you time and ensures you capture your contact information every time. We've made managing your contacts easy. Just tag your contacts using your tag list and use these tags in our quick search, or put contacts into your favourite list for easy access. Or custom folders and sort your contacts - Manage your leads, prospects, contractors , suppliers into your custom folders for easy management and use our tag manager to filter your contacts. Our contact manager gives your team one place to view all your activity - We can track messages, notes, documents, meetings and even track which contact in your list might have a connection to any other contact. Your contact manager is fully integrated with our Team Inbox and Forms apps. Just one click to view all messages sent to or received from any contact. You can share a form to a contact or your website and we will add the contact automatically and store the form in their contact entry in your contact manager. 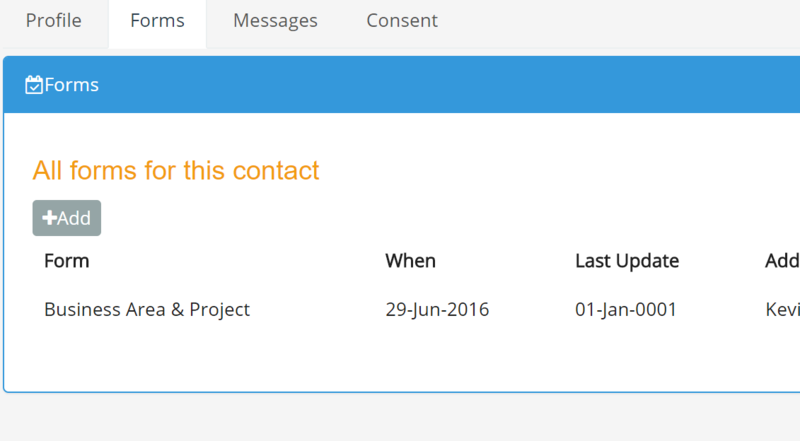 We've integrated our great forms app into the contact manager. 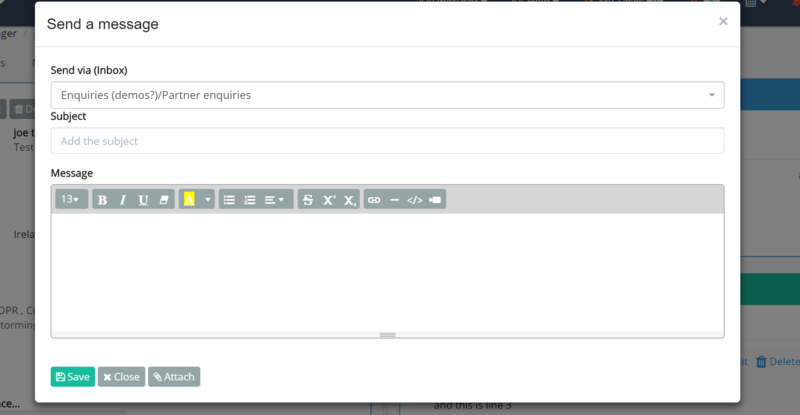 Now you can add, view and edit any contact forms directly from the contact manager. Just create any form and then add it to your contacts profile. We can even display your favourite form and it's fields in your profile page for quick viewing. Our connections option allows you to establish connections between contacts in the same business, or in different businesses. Now you can track who knows who and who is connected to other contacts in your network. Using our tag manager gives you complete control over sorting and filtering your contacts. Just create any number of tags from location, city, business area, number of employees, products they have previously purchased and assign these tags to your contacts. You can then search and filter your tags using any combination of tags. Send messages to individual contacts directly from your contact manager or send the same message to multiple contacts by selecting a folder or building your "to" list using tag filters. If a contact chooses to reply to the message we will deliver it to your Team Inbox where you can take action on it. 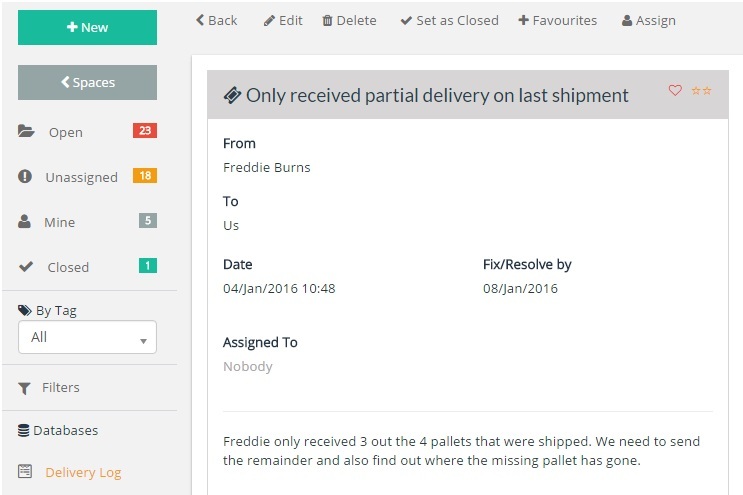 The contact manager can manage and track all customer and supplier activity, all in a single view. The contact manager can share with and be updated from other Apptimi applications such as forms and the ticket manager. When used with the Apptimi Cloud Database, new contacts can be automatically added to the contract manager when a database document is saved. Existing contacts can be selected and all documents will display under the activity list for the contact. Can be used for sales inquiries, order forms, dispatch notes and more.